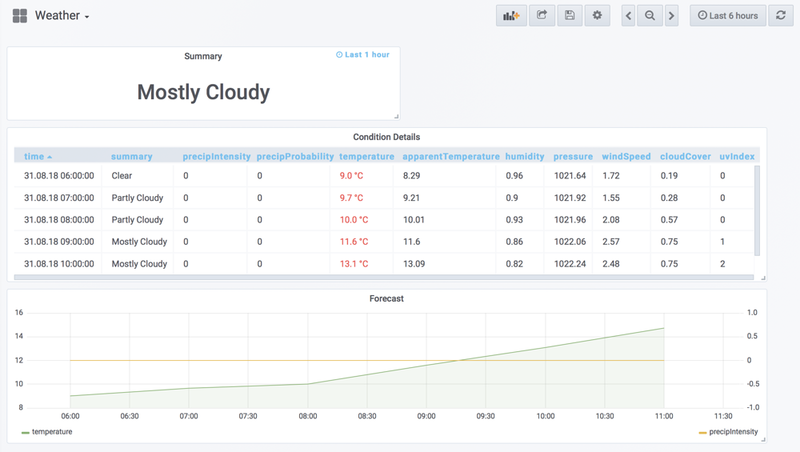 This plugin allows to history weather conditions and forecast data as returned by the DarkSky API. 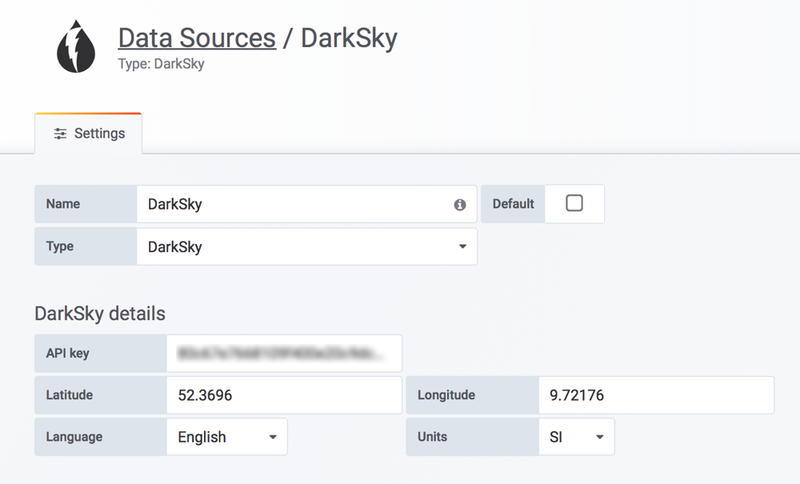 Register for a DarkSky API key at DarkSky. The free plan will allow 1000 API calls per day. Weather data will be available for the location defined when creating the data source. If unsure you can alwayds use Google Maps or IP location APIs like ipgeolocation.io.